Straight out of the gates, the debut work, The Strange Order, from France's Stolen Memories is different, even modestly perplexing. The Strange Order is both everyman's progressive metal, but also something more delightful. Something like Dream Theater meets Manticora, but not that predictable. 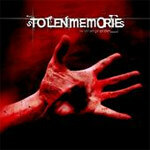 The foundation of Stolen Memories' prog is certainly melodic power metal, but they love to mix it up with every member stretching their musical wings. Yet, sometimes I thought that they were forcing the whole prog metal motif. The opener Faces of Madness feels like totally exaggerated, let's-try-every-prog-trick, progressive metal. But then you hear those enthusiastic keyboard and guitar solos and, suddenly, you're inspired. Especially so on the magnificent The Gift. Despite the staccato drumming and predictable riffing, this song captures your attention when you hear the near jazz-metal fusion interlude about three and a half minutes in. And it gets better. Painful regrets finds Stolen Memories at their most accessible. (It's also the shortest song). Singer Najib, who sounds like a cross between Khan and LaBrie, is quite melodic. As I listen, I'm amazed at how Najib maneuvers through the complex arrangements. But the song moves with a fast-paced melodic sensibility, and there's a damn fine, and ripping, guitar solo. Moving along, The Mortal God reminds of a little Pink Floyd, Under the Rain is a metal tour-de-force with that essential accessibility, and the disc closes with the very fine, piano inspired, My Last Resort. European (or American) progressive metal can be such a bloody morass of predictability. Thankfully, France's Stolen Memories offers some inspiration on The Strange Order. This is a fine debut with plenty of intrigue and entertainment.